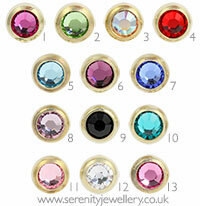 Hypoallergenic jewelled gold PVD titanium 3mm and 4mm screw-on balls. These are great as everyday earrings. The metal colour match my gold jewellery perfectly. 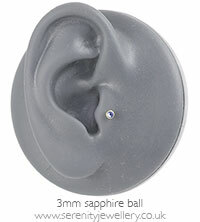 I got them in Blue Zircon and Clear Crystal and my only gripe is that they are so small. It's not so bad on the coloured stone as it stands out but you can bearly see the clear stone. Maybe it would be better if it were in a bigger size, perhaps a 4mm version? Very nice. An attractive alternative to the plain titanium ball but just as comfortable. A warm gold tone with a touch of sparkle. Ordered a pair of these to keep around as replacements. They're very small but provide noticeable sparkle, and they're properly gold-colored! Just adding to my collection of colours. I love these labrets. Excellent gold finish that I certainly wouldn't be able to tell isn't real gold. 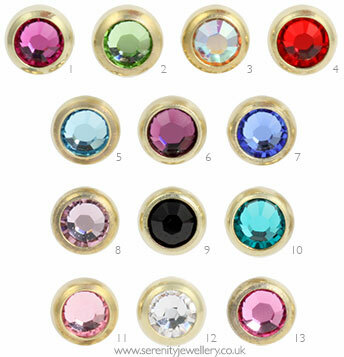 I got some of these to wear on my plain titanium labret earrings, but as none of the post shows, they just look like regular gold earrings. Really pleased worth price and quality lovely gold and the colour doesn't tarnish. Although i ordered a red i would say it was more pink. Great ball, fits straight onto my old labret bar perfectly. Colour matches the picture too. Will deffinatly be buying some more! !